The first day challenge is to really figure out what the purpose of my blog is. How does this sound? tagline: finding joy in the little things...one laundry pile at a time. 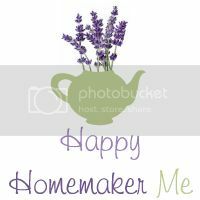 long elevator pitch: Happy Homemaker Me is where I want women to go when they are looking for a new recipe, wanting inspiration for a new craft project, seeking encouragement, or just wanting to feel like they've just had a chat with an old friend. 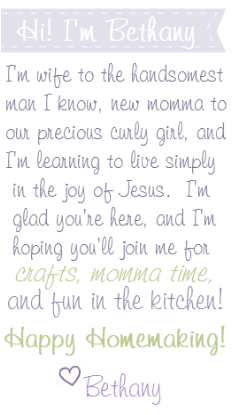 I want to welcome their ideas, make them feel like they belong--as if a little piece of Happy Homemaker Me is theirs as well. That's a start...what do you think? Hi Bethany! I came across your post in the BlogFrog SITS community. Your tagline and short elevator pitch are catchy! Lots of women would like to know how to find joy in folding laundry :) I think you're off to a great start.